We love Rojak just like you. We are obsessed in creating The Finest Rojak. We believe that when one's indulging in a truly wonderful Rojak, it will bring out optimum pleasure to him/her. We believe that the Rojak paste is the soul, while quality ingredients are the backbone of the Finest Rojak. We set the bar extremely high when crafting out the Rojak sauce and on deciding which ingredients to use when serving out the Rojak. We select the ingredients based on the combined quality, ie the absolute tastiness, instead of serving you the ingredients based on the costing factor first. 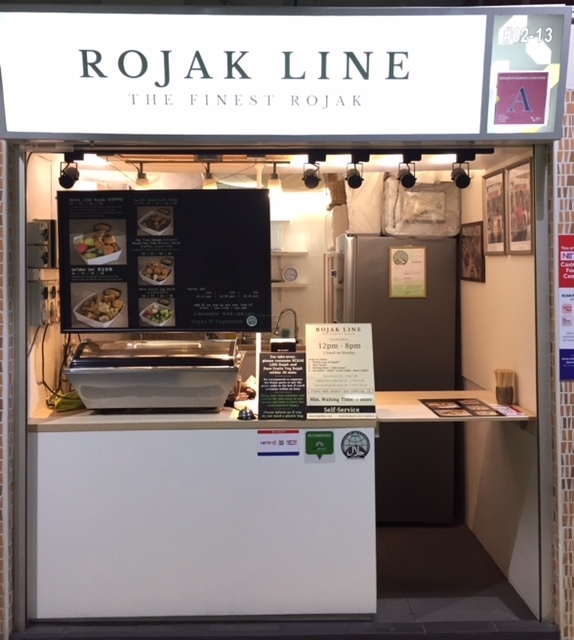 ROJAK LINE is Halal-certified. ROJAK LINE Rojak sauce does not contain shrimp paste/hae ko, it is suitable to Vegan and Vegetarian consumer as well. ROJAK LINE series Rojak is absolutely delicious when it combines ROJAK LINE's Finest Rojak paste with our selected ingredients.